ST. LOUIS - September 19, 2017 - Baldwin Technology Company Inc., a world leader in providing process automation solutions, consumables and services to the print, textile and film industries, is pleased to announce that it has acquired the assets of PC Industries in a transaction that closed on Sept. 13, 2017. 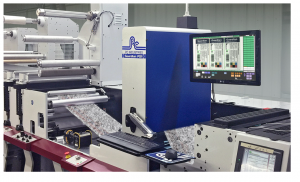 Headquartered in Gurnee, Ill., PC Industries (PCI) is a leading manufacturer of state-of-the-art vision inspection systems for the printing, converting, packaging, pharmaceutical and security printing industries. Founded by Jack Woolley in 1975, PC Industries’ highly regarded brand of products is complementary to Baldwin’s offerings. PCI’s talented team members, consistent history of superior product development, and service and support make the company a natural add-on acquisition for Baldwin.